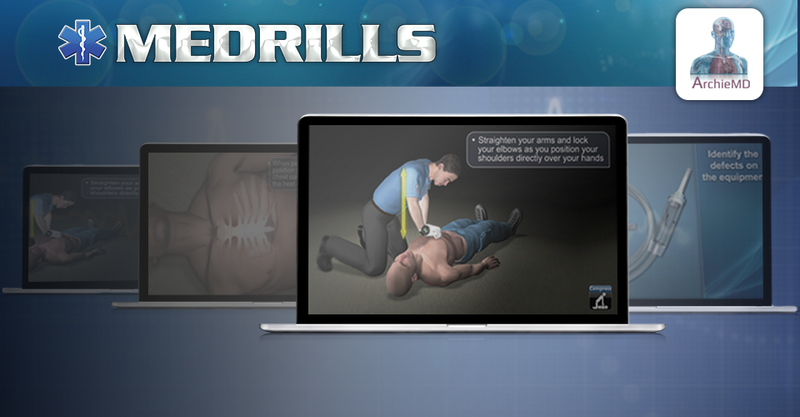 We’re proud to announce the addition of Medrills animated courses from ArchieMD to our 24-7 EMS library of first responder continuing education courses. Medrills is a series of short, 3D medical simulation training courses that help reinforce emergency medical concepts and skills. By combining 3D computer graphics from ArchieMD’s extensive animation library and gaming technology to provide an immersive online learning environment, Medrills are the perfect training tool for convenient “anytime, anywhere” training. “Medrills is an outstanding addition to our online EMS CE product offering,” says William Rowe, HSI Vice President of Brand Management, Professional Responders. “The use of high-quality graphics and the interactive nature of the courses provides a unique experience that is complementary to the 24-7 EMS video-based courses we already have." You can learn more about the Medrills courses and fill out a contact form to speak with a 24-7 EMS representative by clicking the button below.